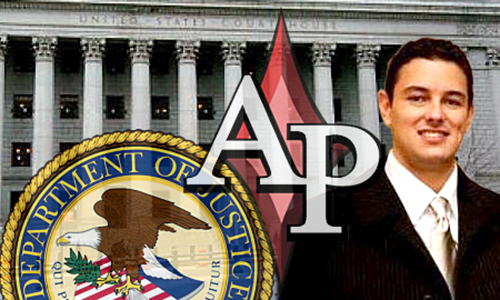 Former Absolute Poker President Scott Tom was sentenced this week in a New York federal courtroom on a single count associated with the running of AP last decade. Tom becomes the 10th of the 11 “Black Friday” individual defendants to answer to US justice — more or less — over the past six years. Exactly what the sentence included still remains something of a public mystery. The plea deal reached between Tom and federal authorities this past May agreed to a general forfeiture of $300,000 (plus small additional administrative fees) and a year’s probation. Though Tom’s plea deal hearing earlier this summer drew some local-media coverage, such coverage didn’t recur in Thursday’s sentencing hearing. We won’t know for sure whether presiding magistrate judge Barbara Moses agreed to the plea deal’s terms or opted for something a bit more severe. Moses could have sentenced Tom to a full year in prison or increased the forfeiture amount to reflect the full value of funds transferred through AP’s UIGEA-violating networks. That, though, seems unlikely, and when the actual sentencing report is posted online next week, we’ll learn the final resolution of Tom’s case. What Flushdraw can provide today is a look at some of the documentation provided by Tom and his Las Vegas-based attorney, James Henderson, in their pre-sentencing memorandum. Such documents are generally a plea for leniency and an artfully, lawyerly crafted minimization of any defendant’s actual involvement in whatever crimes were being committed. There’s plenty of that in Tom’s pre-sentencing memo — some of the offerings overflow with hubris — but there’s far more here as well. There’s also info on what Scott and some of his AP cronies have been up to in recent years, so much so that we’re going to offer a three-part feature look into the latest things Scott Tom and Absolute Poker. The rest of this first piece, though, looks directly into last week’s comically marvelous pre-sentencing submission. Tom pled guilty to a single count of accessory after the fact in the transmission of gambling information, a charge which in itself helps minimize Tom’s leadership role. 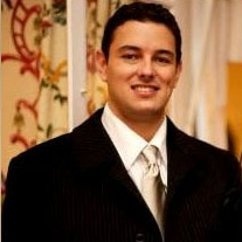 The defendant, following his graduation from college at the age of 21, became employed at a company based in Costa Rica called Absolute Poker. His primary responsibility at the company was as one of some 90 individuals involved in product development. The company, Absolute Poker, had poker customers throughout the world. The defendant’s initial employment at the company was based on his reviewing opinions from leading U.S. gaming attorneys and related circumstances (such as the company’s license in Costa Rica and the legal analysis of other business organizations which explored acquisitions and public offerings of Absolute Poker) indicating that the company was operating in conformance with American law. In 2007, however, the United States passed the Uniform Internet Enforcement Gaming Act (“UIEGA”) which caused the defendant to question whether or not Absolute Poker was operating in violation of U.S. gambling laws. Because of these concerns, Scott Tom resigned from Absolute Poker in 2007. Holy alternative history, Batman! The above shows truth being stretched to a point where it’s unrecognizable. For instance, “became employed” is artful legalese for “founded the company” (from his dad’s basement in Seattle). This one’s good, too: “In 2007, however, the United States passed the Uniform Internet Enforcement Gaming Act (‘UIEGA’) which caused the defendant to question whether or not Absolute Poker was operating in violation of U.S. gambling laws.” Actually, the avoidance of US law was a part of virtually every meeting at which AP operations were discussed, in the company being run by Mr. Tom. Utterly absent from this legal proceeding was Tom’s and Hilt Tatum IV’s championing of blackjack being added to AP’s online platform, just because they could (and because PartyPoker was doing it, too.) The whole deal with UltimateBet being sold to AP also included the creation of this corporate framework through which Tom and the AP boys attemted to keep dodging the US. And, yeah, that “resigned from Absolute Poker” is a chuckle. Tom and AP’s other US-citizen, high-level execs “resigned” from AP, but kept running the company via a shell entity. Scott dropped further out of site after yours truly and others outed him as the primary culprit in AP’s notorious insider-cheating scandal, but over the years I received multiple reports of Tom conducting secondary employment interviews on candidates for executive positions at AP. He was running the show all along, all this con-job legal language notwithstanding. Ah, but there’s another problem for Scott Tom. Though he returned to the US voluntary as part of a deal orchestrated by his father and former AP Chairman of the Board Phil Tom, Scott Tom has a citizenship issue that complicates things just a bit. Exactly when it happened was unclear, though it was likely around 2007, when Scott Tom began serious efforts to evade the US’s long-arm jurisdictional reach. Tom renounced his US citizenship and instance went with a buy-a-Caribbean-passport option. Tom’s official nationality these days isn’t Antigua & Barbuda, as widely reported, but is instead St. Kitts and Nevis. It should be noted that Mr. Tom left Antigua, a jurisdiction from which he could not be extradited, where he was legitimately employed, owns a home, and is engaged to be married, in order to voluntarily return to the United States (where he is not a citizen) to deal with the instant litigation. He has been allowed into the United States for a period of one year to dispose of his case and has been informed by Homeland Security that he must depart the country subsequent to being sentenced by the court. Deported, schmeported, whatever. The above also infers that the year’s probation without any actual jail time is the sentence probably handed down on Thursday; as you read this, Tom may well be back on one of his favorite Caribbean isles. After all, he has a party-boat operation to run, but that comes in another chapter of this multi-part update. Tom’s attorney, Henderson, also allows that it’d be okay for the DOJ to keep an additional $25,000 that’s being held in a trust account. It’s known that Tom’s father, Phil, put up the bail money and arranged for Henderson’s hiring, but there’s always been the question of how many tens of millions the Toms and other prominent AP insiders siphoned out of AP’s operations befoe leaving their players on the hook, post-Black Friday, for tens of millions of dollars in unrefunded bankrolls. We’ll be returning to that part of the Scott Tom / AP story later today as well.